Davido’s upbringing was almost impossibly blessed. Now, he’s leveraging his resources to model the future of African pop. The school roomed him with another international student, a Rwandan track athlete—“I was like, ‘Okay, wow. They just put all the African people together?’”—but he gravitated toward an upstairs neighbor named Jaymo, an American kid whose speakers constantly rattled Davido’s ceiling. “One day, I went to go check what the noise was. 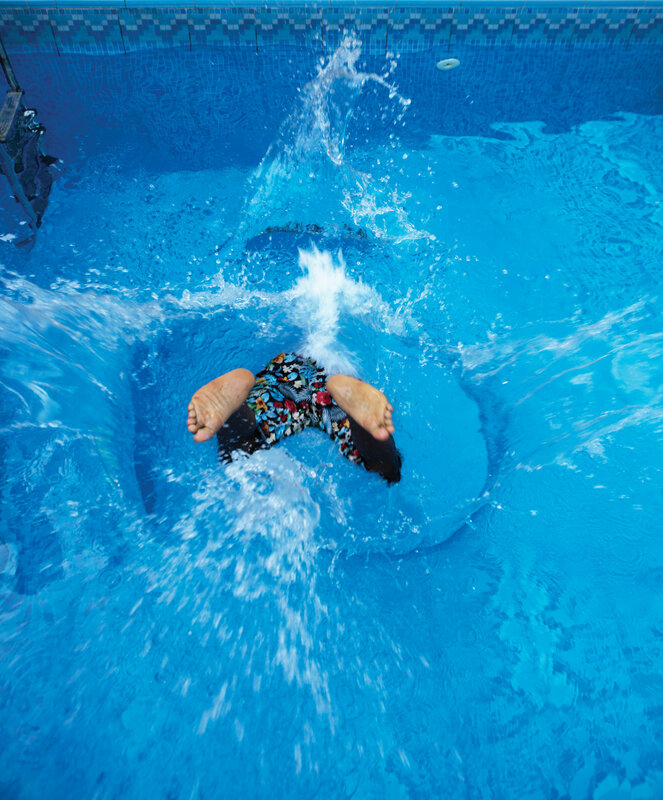 I went upstairs, opened the door, and the guy had a full studio in his room,” he says. “I told him that I was trying to do music, too. He asked me, ‘How much do you have to invest in equipment?’ And I said, ‘$2,000.’ He was like, ‘That’s too much.’” They went to Guitar Center with $500. Chief Adeleke, meanwhile, had been on the hunt for his son. When Davido finally returned to Lagos in 2011, with new tattoos and piercings, his father had him apprehended by police officers at the airport. 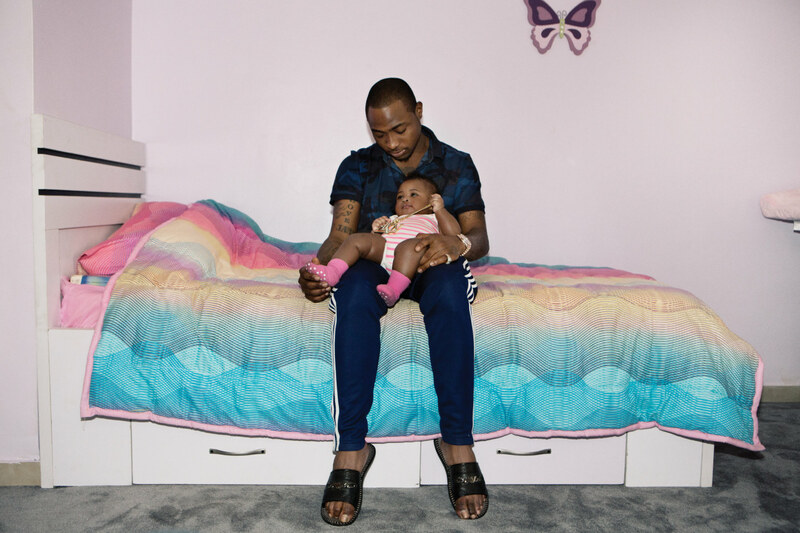 Having failed to bring home the business management degree he’d been sent to America to complete, Davido reached a compromise with his father: he, still a teenager, would attend a private university two hours north of the city. His music dreams would be sidelined until he had honored his family by graduating. Davido returned to school, but often snuck out of his dorm room to hobnob at industry parties and blew off exams to record. For the past three years, Davido, now 23, has lived in the posh Lagos neighborhood of Lekki, in a three-story house that welcomes a revolving cast of employees, friends, and hangers-on, with imported weed and liquor in constant supply and demand. On a Friday afternoon in December, he’s sitting on a couch in the home’s top-floor lounge, telling his life story to an audience of a half-dozen people. A television is queued up with YouTube videos of some of 2015’s most potent grime beefs and freestyles. With an omnipresent gold chain swinging around his neck and a pair of traditional leather slippers dangling off his feet, Davido waves and claps his hands to underscore some points, and spits out Nigerian exclamations like ah-ah! and eiiiish! to emphasize others. A pair of deep symmetrical dimples and a generous flashing of teeth make even his wildest stories seem like harmless capers. Davido’s childhood home is just a few minutes’ drive away. Inside, there’s a grand marble staircase, and family photos spanning several generations line the walls of multiple living rooms. (Davido’s godfather, it should be noted, is Aliko Dangote, a construction magnate whose estimated $18 billion net worth has earned him Forbes’ title of Africa’s richest man for the past three years.) 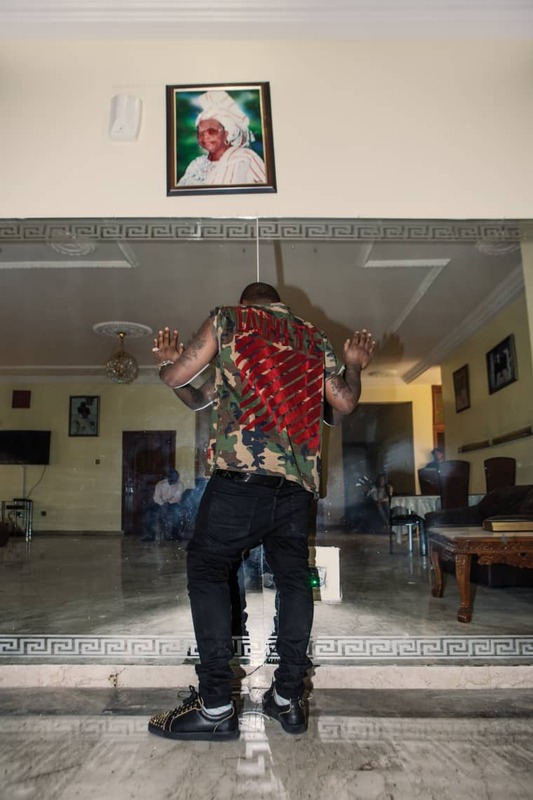 At Davido’s house, the walls are dominated by portraits of Davido. Most of the pieces, including a five-foot tall Old Masters-style painting, have been painted by fans, who camp outside for as many as three days, waiting for Davido to accept their offerings. A painting of his late mother has also been hung up, and so has a Jackson 5-era portrait of Michael Jackson, which keeps watch over the battered second-floor studio where Davido tracks demos and records one-off collaborations. 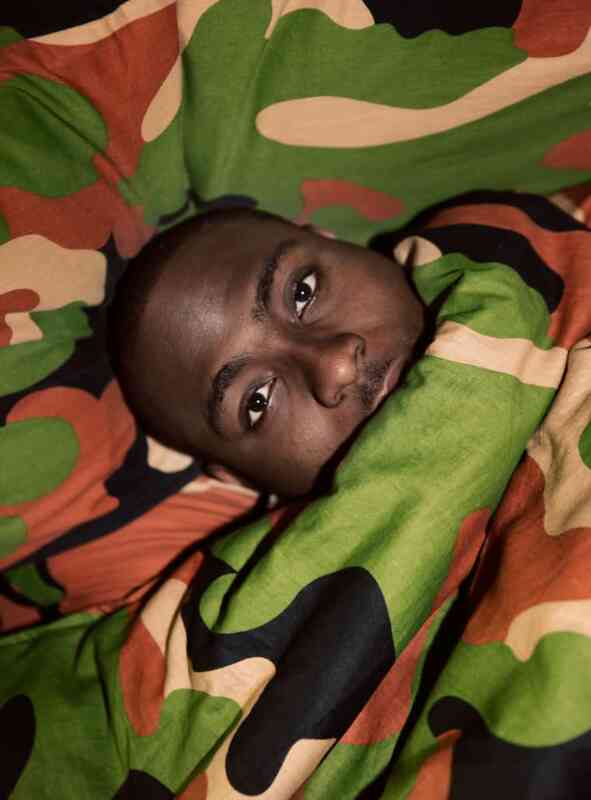 Davido found an audience with just his second single, “Dami Duro,” an uptempo track with a frenetic vocal melody and rattling drums, on which he introduces himself as omo baba olowo, Yoruba for “son of a wealthy man.” With its mix of glossy synths and familiar Nigerian references—its second verse features a lyrical nod to Yoruba folk songs—“Dami Duro” endeared a then-unknown Davido to both young clubgoers and fans of more traditional fare. It would go on to become one of his biggest hits, gaining traction on Nigerian radio, in Lagos’ nightlife scene, and with his father. After the song blew up, Davido, still a student, declared he no longer wanted to study business, and Chief Adeleke paid for the university to erect a music department for an inaugural class of one. Last year, he finally graduated, after taking time off to attend to his career. 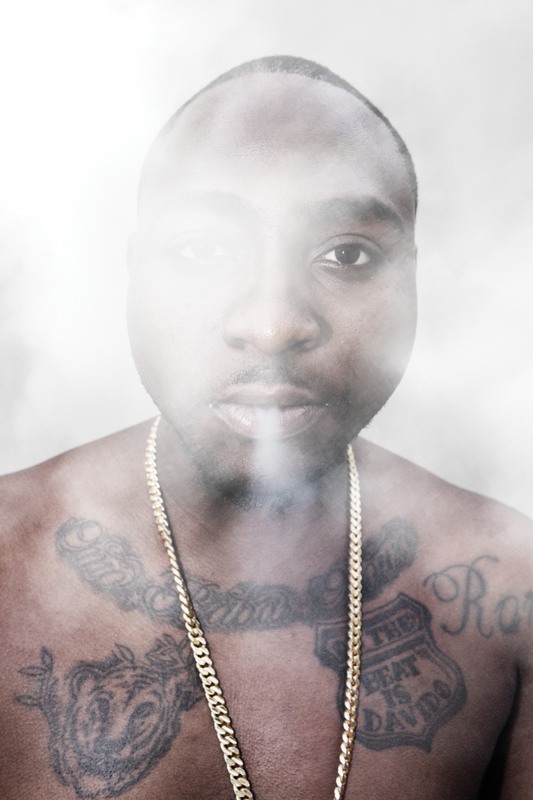 After that first single, Davido remembers, “everything just happened. I was being booked in, like, Botswana, all over Africa in under six months.” He self-released a debut album via his own HKN label in 2012, and has since worked with a global crew of producers and songwriters on a steady stream of singles. Some, like 2013’s muted “Gobe” and 2014’s traditional “Aye,” typify one style he favors: mellow love songs with lightly Auto-Tuned vocals and beats constructed out of kora riffs, buzzing electric guitar, bright keyboard sounds, and stuttering programmed drums. Others are more indebted to house and hip-hop—like 2013’s clattering “Skelewu,” which was remixed by Major Lazer, and 2015’s Meek Mill-featuring “Fans Mi,” for which he says the Philly rapper was paid $200,000—and traveled the internet to African diasporic communities in cities like New York and London. 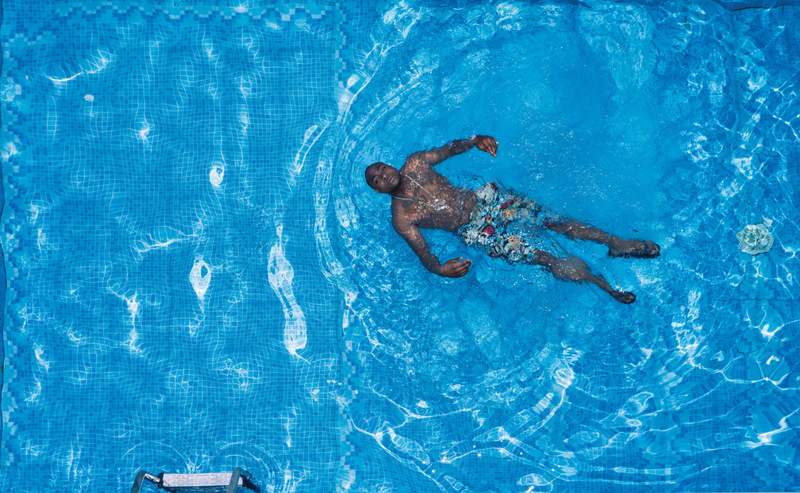 For Davido, the result has been a kind of fame for which there are few parallels. When I land at Murtala Muhammad International Airport in Lagos to report this story and discover I don’t have the necessary yellow fever vaccination document required for entry, I successfully drop his name, much to the delight of a middle-aged official who asks me to pass on a message. “God bless our son, Davido,” he says. A couple of days later, Davido performs at the wedding reception of family friends in Lekki’s Lagos Oriental Hotel. His five-song set was offered to the newlyweds by a family member as an ostentatious gift, much like the brand-new Bentley on display elsewhere in the hotel’s ballroom. Afterwards, he attempts to snake out of the hotel through a makeshift exit, his oblong face streaked with sweat. Dozens of young men crowd the wings of the ballroom, undeterred by the armed soldier who is a member of Davido’s everyday security detail. Waiters drop their serving trays for a chance to touch him. Bartenders and ushers abandon their posts. Palms are thrown to faces, temples, and the sky in disbelief. 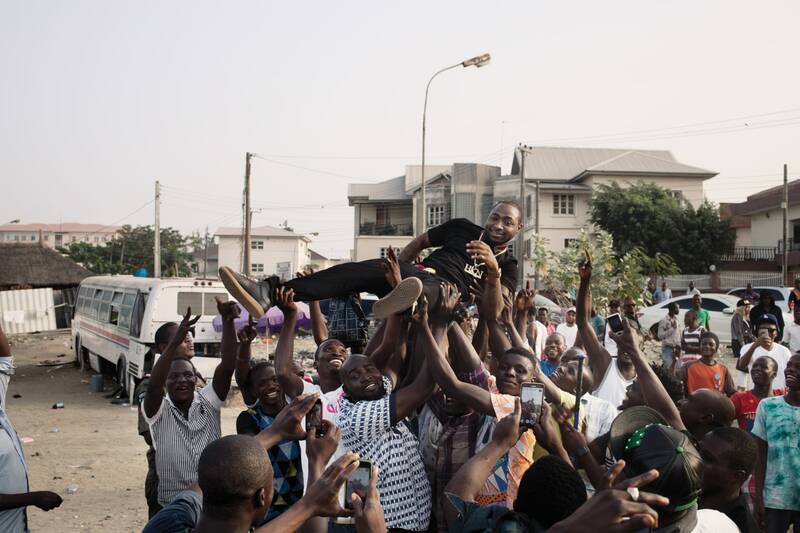 But the wilder the scrum grows, the calmer Davido seems; similar scenes manifest nearly anytime he appears in public, and he’s accustomed to the hysteria. “Sometimes they want money, sometimes they want photos, but sometimes I think they just want me to see them,” he tells me later. A few hours after the wedding, Davido plays another show, a 20-minute set at the holiday party of a large investment firm, for which he is paid $50,000 USD. Earlier that night, he’d performed with just a DJ and a backing track, but for this gig he brings along a hypeman and a feverish five-piece band. In Nigeria, concerns about security, a lack of concert venues, and deep income disparity mean there are few large, ticketed events; aside from a handful of public concerts, private shows like these are the norm. While the major label-backed global music industry makes money from multiple income streams—album sales, radio spins, tours, and placing songs in ads—Nigerian artists have to look elsewhere. When I cite an oft-repeated statistic—that for every CD sold legally in Nigeria, 10 are sold illegally—to Davido, he suggests that it’s actually much higher. “I have 100 million views on YouTube but I have never directly made money [selling] my music,” Davido says. “Zero. That’s nonsense.” Following the widespread adoption of the internet and of mobile phones, there’s opportunity for change. Artists used to depend on Lagos’s Alaba market, a centralized network that distributes bootlegged CDs around the country, to build the buzz they needed to book private shows and win endorsement deals. But with physical discs becoming far less common, they’re focusing their outreach online, using social media to push free downloads on local blogs. Increasingly, there are opportunities to get paid off of releases too: with the iTunes Store, which launched here in 2012, and, more importantly, through mobile apps, built by the same local telecommunications companies whose endorsements already underwrite much of the music industry. But even as mobile song sales surge, there is a fear in the Lagos entertainment scene that other cash flows are drying up. In May 2015, Nigeria elected a new president, Muhammadu Buhari, who has promised to clean up the country’s unchecked corruption. Buhari has threatened government officials and bank executives with criminal charges and already levied fines on large corporations. MTN was fined $5.2 billion in November 2015 for selling unregistered mobile SIM cards, an illegal practice government officials believe may have benefited terrorist groups like Boko Haram. Wizkid, 25, is perceived as a kid from the hood who made his way to the top on his own, a story admired in a country where hustle is a virtue and a survival tactic. 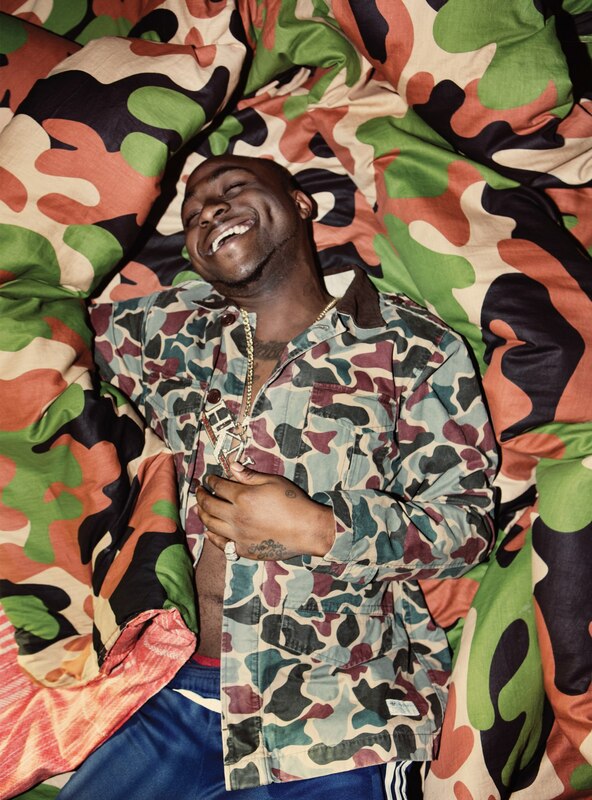 Davido, on the other hand, is respected for his smart choices: working as his own A&R for years before he was in the major label system, he’s enlisted the help of songwriters in a country where they’re not commonly used, aligned himself with an experienced management team, and released an unabating string of singles to stay relevant between albums. “My business decisions, they’re not by accident,” Davido says. “I have a father that’s made billions [of Naira]. When he tells me, ‘Make this move,’ I listen to him.” But that can also backfire. For all his popularity, Davido’s family money and custody battle have also made him an avatar for what some consider wrong with modern Nigerian society: the dissolution of traditional values and a culture that favors the rich while the poor get poorer. In reality, Davido and Wizkid may have more in common than it appears—in January, Wizkid faced his own scandal, after a woman claimed he’d fathered her son and was a deadbeat dad. Recently, the two have made overtures to come together. At a December concert in Lagos, they spontaneously gave a joint performance before a stunned crowd. When both artists arrived at the venue, there was no clear direction from the promoter as to who would headline the show and, by effect, leave with a sense of victory. Tension built backstage until Davido, cleverly recognizing a chance to force Wizkid’s hand in public, invited his erstwhile rival to share the stage. They wound up going back-and-forth for several songs. A week after that show, I’m in the passenger seat of Davido’s Porsche Panamera Turbo S, driving to his brother’s house with his manager, Kamal. The sun has set, but the streets are still clogged with Friday rush-hour traffic, as pedestrians and vendors compete for sidewalk real estate. We weave through tiny streets and major throughways, drawing waves and claps from a cluster of squeegee kids who recognize the white sportscar as Davido’s. As we drive, Kamal’s two phones buzz nonstop with requests. Someone asks about a fashion endorsement. Idris Elba is in town for a movie premiere and wants to talk about recording a song together. When one call comes through, Kamal answers gruffly, then warms up. “Nah, bad boy!” he exclaims, simultaneously teasing and complimenting the caller. It’s Wizkid himself, asking whether Davido might be down for some sort of collaboration, an official end to the stalemate. Days later, Davido remains enthusiastic about the possibility. “We’re gonna give them What a Time to Be Alive—African version,” he says, a grin creeping across his face. The night before he performs at the wedding, Davido brings me to Quilox, a popular club, for his older brother’s birthday. Inside, the thousands of miles that separate Lagos and cities like New York and London disappear. Here, if you’re well-off enough, like Davido and his friends are, you are privy to the same bottle service procession of top-shelf liquor and champagne, the same Drake- and Future-heavy playlists, and the same $600 Givenchy T-shirts you’d find all over the world. The women hanging around the VIP are wearing the same crop-tops and cut-out dresses that I’ve considered buying from Instagram boutiques. In one night, I see more dabbing than I’ve seen across several months in New York. Davido and his brother tell me that, at last year’s celebration, they ordered so much Ciroc that they wound up having to take some of the bottles home. 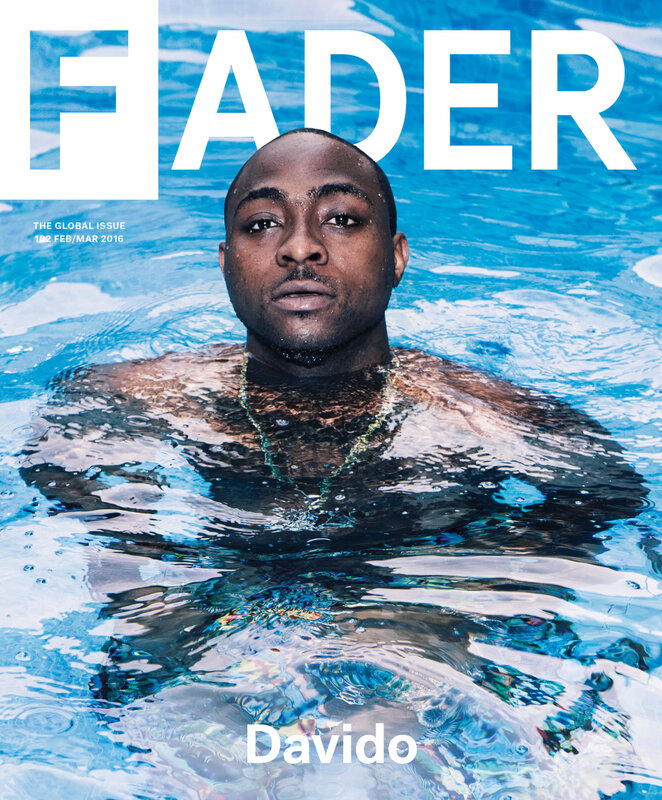 Pre-order a copy of Davido’s issue of The FADER now, before it hits newsstands March 8.